This book was originally part of a much larger project tentatively entitled The Propertied Self: Wealth, Progress, and Human Nature. This was an overly ambitious manuscript whose coherence was probably not obvious to many readers. It was never published. However, portions that were not included in the work formed another book called A Psychohistory of Metaphors: Envisioning Time, Space, and Self through the Centuries, which is now in progress. 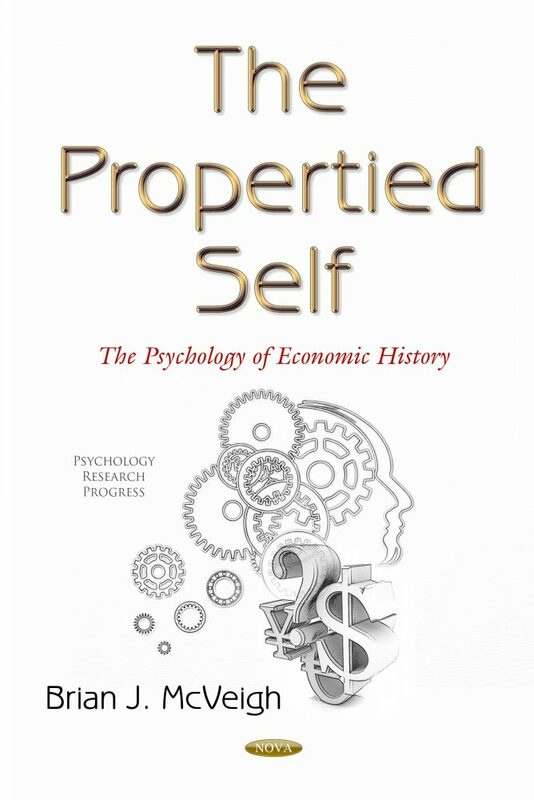 The first draft of this book was much longer, and included a chapter entitled “The Aesthetics of the Propertied Self”, which explored in more detail how the emergence of the propertied self and changes in the human psyche impacted not just the political economic landscape, but also influenced aesthetics. Economic and political indicators (dress, fashion, and lifestyle) were investigated and linked to how transformation in practices of wealth acquisition over an individual’s lifetime led to new notions of time and self-narration. For example, a section called “The Aesthetics of Atomized Individuation” explored the psycho-politics of “obsessive cleanliness.” I also discussed how technological advances that led to the invention of new spaces of “consumutopia,” such as cyberspace, elaborated and reshaped psychological interiority in new ways. Examples drawn from popular culture were intended to demonstrate these changes. These topics will have to wait for another publishing opportunity. Julian Jaynes once advised me that the best way to read William James’s The Principles of Psychology was not from beginning to end, but to dip into it here and there. I suspect we would appreciate many other books if this advice were followed. I am tempted, then, to suggest that this book be read in the same way, not because it is on intellectual par with The Principles of Psychology, but because books rather than disputations in orderly logic are more often extended conversations between author and reader. “Consciousness” is a vague, multi-referential term, so I will devote some space to carefully defining it. But in order to add some clarity and specificity to my usage, throughout this book I use the synonymous expressions such as “conscious interiority,” “interiorized experiences,” and “interiority.” Finally, the careful reader will note the difference between my use of Psyche (meaning mind) with the italicized psyche, which refers to the ancient Greek concept of soul. Finally, note that my use of “personalty” is not a typo (i.e., I do not mean “personality”). The former term is a legal concept describing a kind of property. Written for scholars, researchers, policymakers, and anyone interested in an intellectually stimulating read in Economic History, History of Trade and Consumption, Economic Sociology, Globalization, World History, History of Ideas/History of Philosophy.